About – WHAT "IS" GOING ON...OUT THERE "REALLY"? Through the values of partnership and cooperation, CEO Space has been working to foster a new generation of enlightened business leaders around the world. Mr. Dohrmann uses his expertise to upgrade CEOs today into educated, skilled leaders with higher global integrity standards. As CEO Space continues to grow into a force for future economic innovation. Mr. Dohrmann encourages anyone who is confident in their ideas and ability to grow constructively to discover how CEO Space can give them the tools they need to meet their full potential. 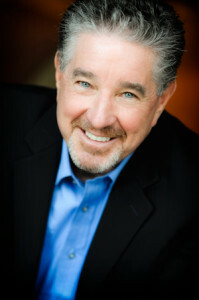 Mr. Dohrmann is a radio show host, movie producer, frequent guest on national television and radio shows, and bestselling author. Berny’s father, Alan Dohrmann, was a corporate trainer who was sought out by such notables as Napoleon Hill, Earl Nightingale, Walt Disney, Warner Earnhardt, John Hanley, Thomas Willhite, Bucky Fuller, Dr. Edward Deming and Jack Kennedy. Berny grew up with amazing mentors as one of nine children raised in Marin County California. World Famous Ben Gay, John Gray ( Men are from Mars ) PSI World Seminar’s Jane Wilhite, and John Carr knew and recall fond memories of mentorship from Alan G Dohrmann while he was alive. Berny Dohrmann was mentored by the man who pioneered oil tanker funding in the 1960’s and 1970’s, George Witter of Dean Witter when the brokerage firm was a family owned San Franciscan firm, and Peter Ueberroth former commissioner of Major League Baseball, and currently Chairman of the Contrarian Group, Inc and serving on the Board of such firms as Coca Cola. In his first twenty years, Mr. Dohrmann was Chairman of a public institution heading up global investment firms, supervising thousands of licensed professionals operating in fourteen countries. Berny sold his firm to take care of his terminally ill father and later finished the brain research his Dad and Berny started, thus creating a product known as Super Teaching. Super Teaching is showcased during CEO Space’s weeklong business growth conferences, 5 times a year. Mr. Dohrmann resides with his wife September and two children ( the last of his nine ) in the Tampa Bay area of Florida. Mr. Dohrmann is a key note speaker on stages world wide.